Built in 1885, the Northeast Market has been the long-time anchor of the Monument Street commercial district. While it is a center of safe and positive activity in the community, over time, the market has faced a number of physical and managerial challenges. Along with an imposing exterior, the market was offering too few healthy, fresh food choices to a community suffering from food insecurity and rising obesity and diet-related disease rates. In 2005, the Empower Baltimore Management Corporation (EBMC) hosted a community workshop conducted by PPS and the National Trust Main Street Center that sought to evaluate how the market functioned operationally and as a community place. PPS then prepared a vision plan for improving the market and the areas immediately surrounding it, and developed a series of recommended next steps towards implementing the vision, which included establishing intensive market management. In 2011, PPS was invited back to the Northeast Market by the Historic East Baltimore Community Action Coalition (HEBCAC) to facilitate two public workshops. The first was on developing the market into a “Healthy Food Hub” and the second helped PPS create design guidelines for HEBCAC to develop a phased program of changes to be used to create a scope of work for an architect/engineer to implement an improvement plan for market. 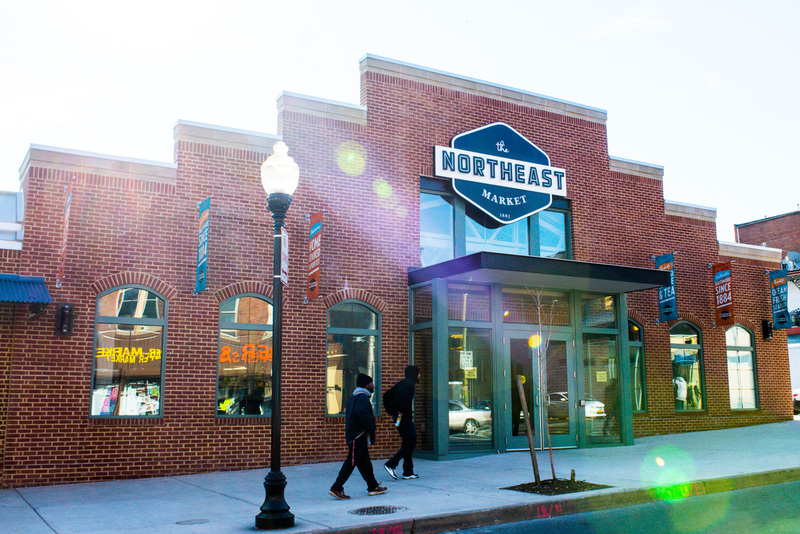 The Northeast Market underwent a $2 million renovation in 2013 to tackle the physical and merchandising issues of the market. For the first time in 30 years, the market now features a new building façade and shared-use space for community services and farmer day stalls. Work was also completed on the ceiling, interior lighting, central seating and side entrances. With the renovation, HEBCAC hopes the market will better serve its regular customers, attract new shoppers and remain the central gathering space of the community.